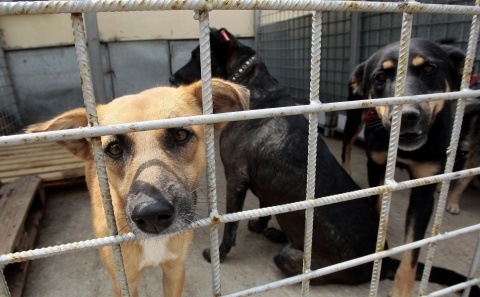 "Deliveries" of fresh "shipments" of stray dogs to the Bulgarian capital Sofia are sabotaging the efforts of the local administration to cope with the grave problem of homeless animals, Sofia Mayor Yordanka Fandakova has claimed. "I am worried by the more frequent cases of new packs [of stray dogs] in quarters that never had dogs before. Only in the recent weeks, well-bred and well-fed dogs were released at various spots in the downtown," Fandakova told the 24 Chasa daily on Monday. "I have no idea where they came from," she said, hoping that the police and the residents of Sofia will be able to help the local authorities find out who is supplying the alleged new "deliveries" of stray dogs. "Let anybody who sees the mass releases of dogs call so that we can stop that. Otherwise, the battle is uneven. We will be picking and castrating them, but more and more dogs will be arriving," she stated, urging all organizations providing care for stray dogs to cooperate with the Sofia Municipality. Last week, Manol Neykov who is the head of the municipally-owned firm Ekoravnovesie ("Eco-Balance") in charge of tackling Sofia's stray dog problem also complained that unidentified persons were bringing in stray dogs to Sofia with vans marked as belonging to Ekoravnovesie, and were releasing them in the city. According to Mayor Fandakova, this has already happened several times since the beginning of the year; she suspects that the stray dogs are being delivered from other municipalities. Stray dogs are an enormous problem in the Bulgarian capital Sofia, with dozens of thousands of them roaming the city, and packs occassionally attacking people.